Make It Better Contest - Finalists! 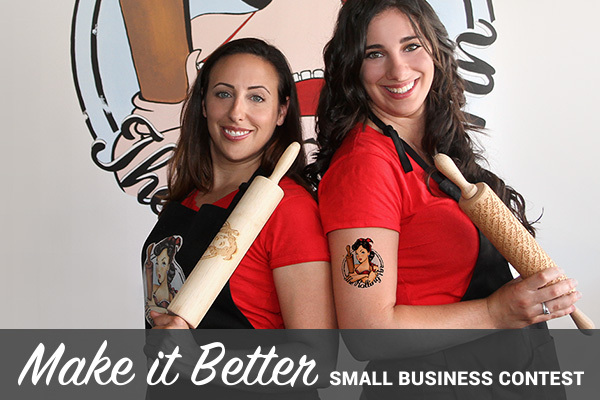 It’s September 19th, which means there are only 7 days left in the Make It Better small business contest! This is the last stretch and the competition is great, with a mixed bag of businesses as diverse as the people that run them. We’re so thankful for the turnout. We’ve had over 700 applicants! Christella Morris & Sarah Resnick, Pass It On! Joanne Ly, Redefine Fit Ltd.
Matt Parrott, Standard Pizza Co. If you’d like to help a small business win the contest, voting is still open until September 26th at noon at contest.stickeryou.com!